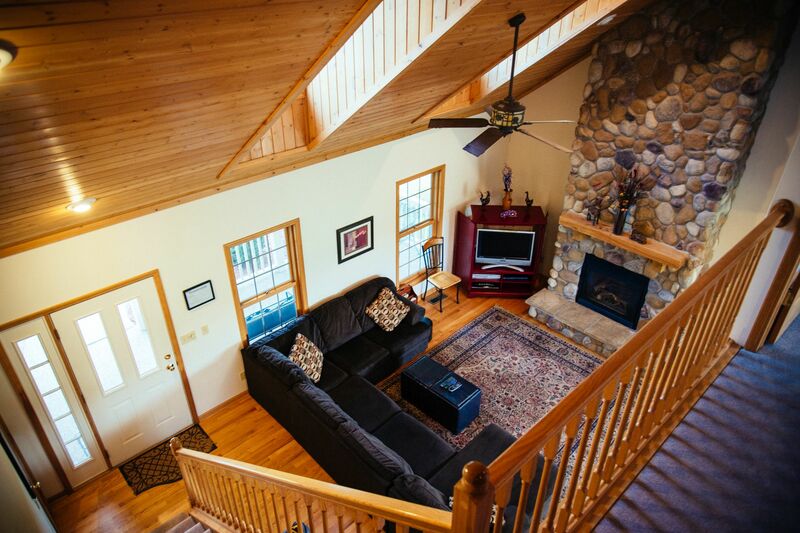 The Luxury Log House is beautifully furnished and fully appointed, allowing you to relax and enjoy the comforts of home and privacy. It’s set among the hills, near the forest, lake and golf course, and it’s suitable for all seasons and for different types of activities such as corporate team-buildings, family reunions and parties. 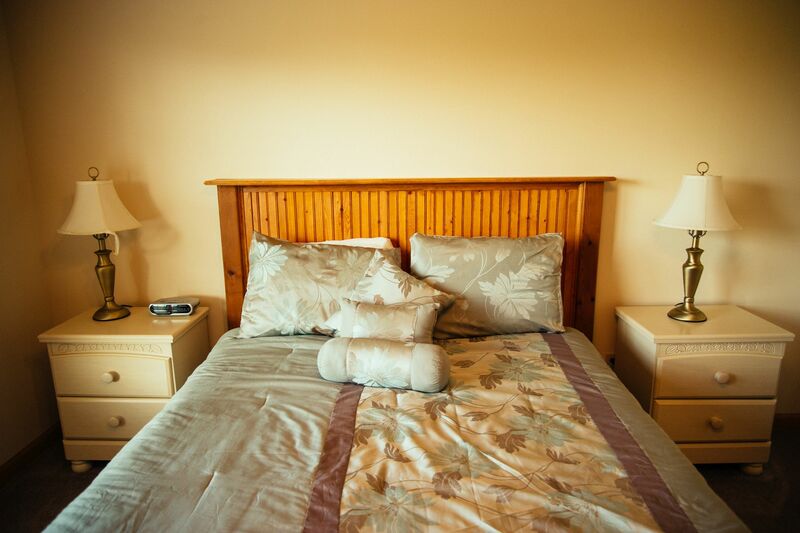 Still looking for places to stay in Galena, IL? 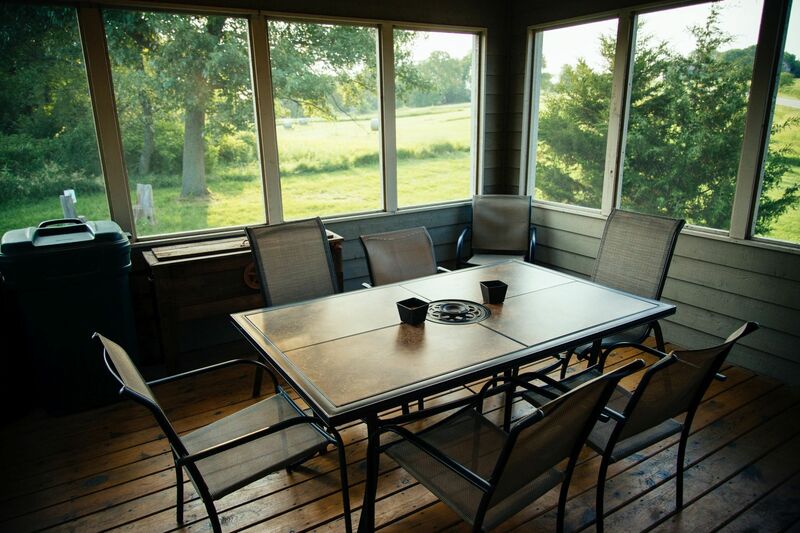 Our Luxury Log House is the perfect Galena, IL lodging option for you if you’re looking for a combination between comfort, privacy and the outdoor activities offered nearby. Special Offers: Book 3 nights and get 4th night for FREE! We stayed at this home for an extended family vacation and had just a great time. The home was better than advertised or expected. We had 6 adults and 6 kids ranging from 2 years to 15 years. The house was in a wonderful, quiet area with an open view of fields and the blue sky (star-filled sky at night). It was in perfect clean condition with lots of space to sleep, rest, and play. The jacuzzi was quite a treat after a day out. The kitchen was well stocked and we were able to cook and grill over the four days. 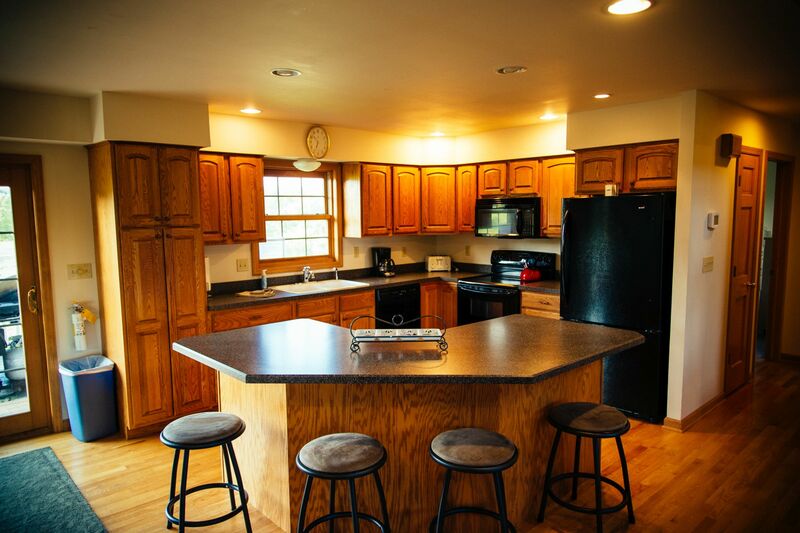 The home is part of the beatiful Galena Territory and is very close to the owner’s club where we enjoyed swimming and tennis, and near the lake where we enjoyed boating. It was also only 20 min to the city of Galena, where we celebrated the 4th of July watching a parade, the fireworks, and enjoying a great Mexican meal and margaritas. We would definitely recommend this home for any family or friends week or weekend outing. Our youngest asked if we can come back again next year, and we likely will. We stayed for a long weekend and really liked the home and the layout. It’s much bigger than it appears with plenty of room for everyone. 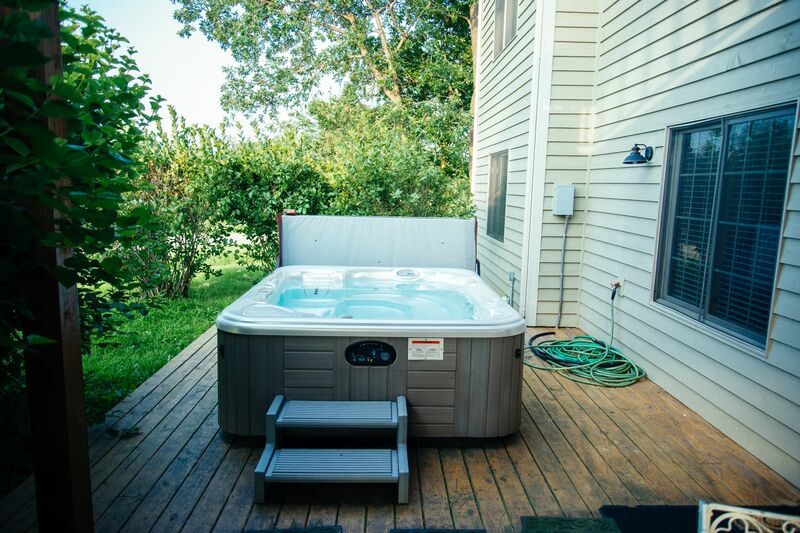 The kids loved the new hot tub and the screened in porch was great for meals and playing cards at night. 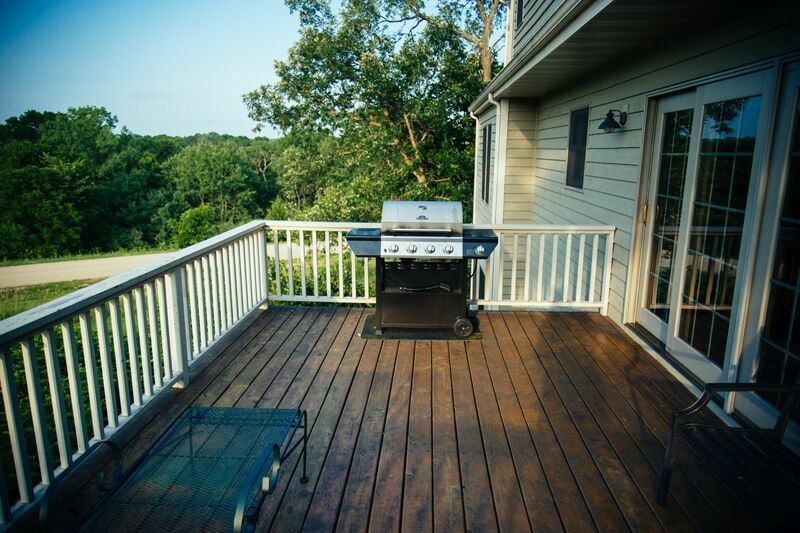 The location is awesome in that it’s a quick 5 minute drive to the pool and/or Marina or a scenic 15 minute drive to downtown Galena. There is also a nicely wooded walking path across the street that leads to the lake as well. Highly recommended! Nine of my closest friends and I stayed here for my birthday and it was perfect! 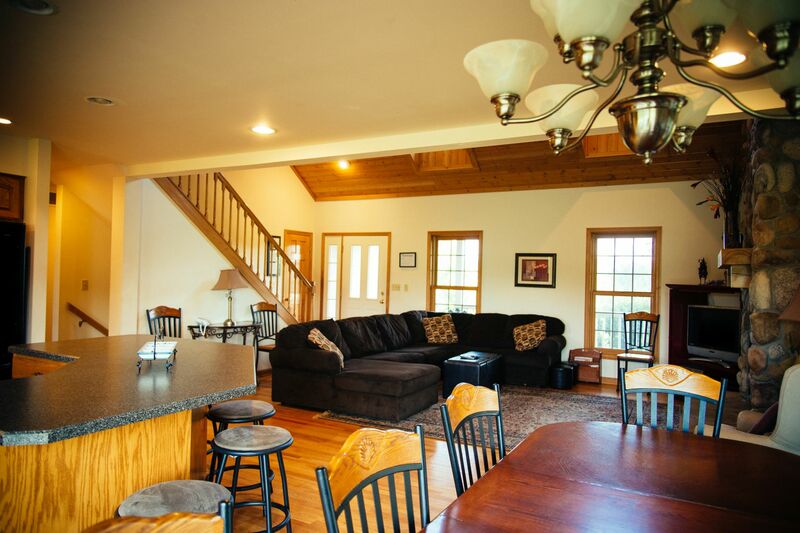 Plenty of room for everyone, breathtaking views, relaxing hot tub, beautiful fireplace and a kitchen to cook!! We went snow skiing and the slopes are like 15 minutes away which was great! I would definitely recommend this house to anyone!! A perfect getaway! Great house! Owner is very friendly and helpful! We spend 3 nights for New Year’s Eve in that house, and everything was just great. The house is very spacious, every bedrooms has its own bathroom. The living room is big enough to fit 10-12 people. 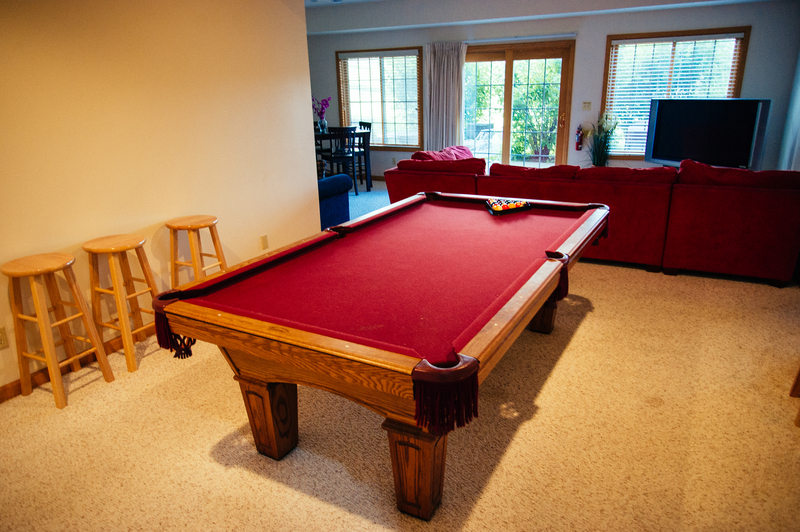 The hot tub is a nice plus, as well as the pool table. The views from the house are amazing. Town is 15 mins away. The owner is very friendly and helpful!